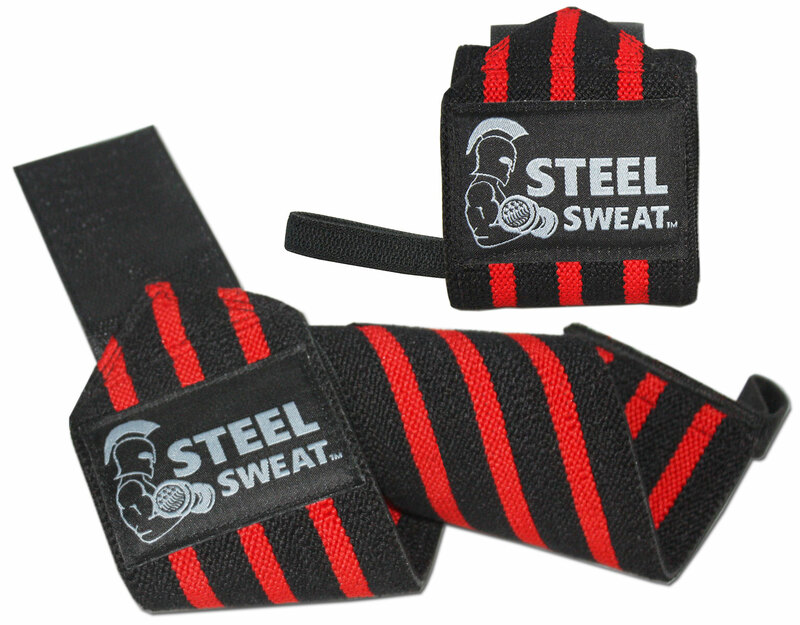 I just got these great weight lifting straps from Steel Sweat. I love this set because they are really high quality. They have a loop to wrap around your finger which helps you to get a great grip. The straps themselves are really high quality and well made. These won’t be falling apart on you at all. They give you a great support when lifting. This set comes with two wrist straps . I love the set because it give you everything you need in one set. Perfect for throwing in your gym bag and easy to use. They are also breathable and since they are velcro easy to to adjust and can be used by a variety of people. PREMIUM GRADE 18″x3″ ELASTICIZED COTTON Wrist Wraps (1 Pair / 2 Wraps) support wrists and reduce wrist pain / fatigue. Designed for Powerlifting, Weightlifting, Crossfit, Strongman, Gym workouts and any fitness training activity where your wrists need support. HEAVY DUTY REINFORCED STITCHING prolongs the life of your wrist wraps and ensures they will not come undone or fall apart under extreme pressure. MONSTER STRENGTH 5″x2″ VELCRO ensures wrist wraps stay firmly wrapped and in place for your entire gym workout. EASY FASTENING AND ADJUSTMENT with Hook and Loop Closure. Enables easy winding of wrist wraps using durable thumb loops for a customized fit and tension control. One Size Fits All wrist brace. MONEY BACK GUARANTEE – We Dare You to Compare to any other Wrist Wraps, you will Not Find Better. Our Wrist Wraps are Simply the BEST or Your Money Back. 60 Day No Questions asked Warranty on Every Purchase.